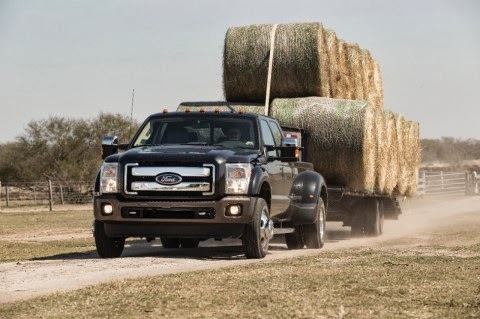 BRIGHTON, Mich - Since 1999, Ford Motor Company has created an outstanding relationship with the iconic King Ranch in Kingsville,Texas based off their mutual philosophies of toughness, integrity, authenticity and quality. Ford and King Ranch Celebrate 15 Years of Partnership with the debut of three new 2015 King Ranch editions as well as some beautiful photography done by Texas state photographer, Wyman Meinzer. Meinzer captures the true essence of Ford and the ranch's partnership with more than 4,000 scenic photos of the three new 2015 Ford models. Founded in 1853 by Richard King, the King Ranch has now grown to a four division operation totaling 825,000 acres and has a 350 Ford vehicle fleet! As genuine and authentic landmark, the Ford vehicles are the perfect representation of the King Ranch's legacy. 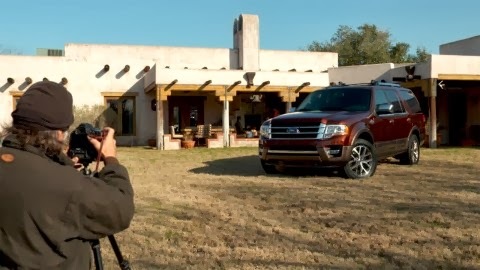 The new 2015 model Ford F-150, F-Series Super Duty and Expedition King Ranch® models are showcased in the picturesque photo shoot by Wyman Meinzer, which will be debuted at a special exhibit during the 2014 Houston Livestock Show and Rodeo on March 4-23rd. As a born and raised cowboy in Benjamin, Texas, Meinzer's ranch experience made for a very authentic and beautiful photo shoot. Check out the entire photo gallery at Ford.com! Ford felt there was really no better way celebrate 15 years of partnership than with producing three new King Ranch edition trucks. Aileen Barraza, Ford color and materials designer, visited the ranch several times so that she was able to get a true grasp on what it expresses. She found that the ranch is a comfortable place with a sense of genuine luxury that is earned through hard work. To fully capture that within a vehicle, it was necessary to choose appropriate tones that would fitting on the King Ranch. The three editions of the King Ranch each have a unique interior and exterior trim, amplified equipment and special wheels that all reflect the ranch's genuine and high-quality character. The King Ranch F-150, F-Series Super Duty and Expedition that celebrate Ford and King Ranch's 15 year partnership will be going on sale later this year! Brighton Ford will keep you updated on the latest and greatest Ford vehicles that we have at the dealership. Regardless of your preferred vehicle style, we have a huge selection of Ford cars, trucks, SUVs, and crossovers to show you! Check out our online inventory and then stop in for a test-drive!